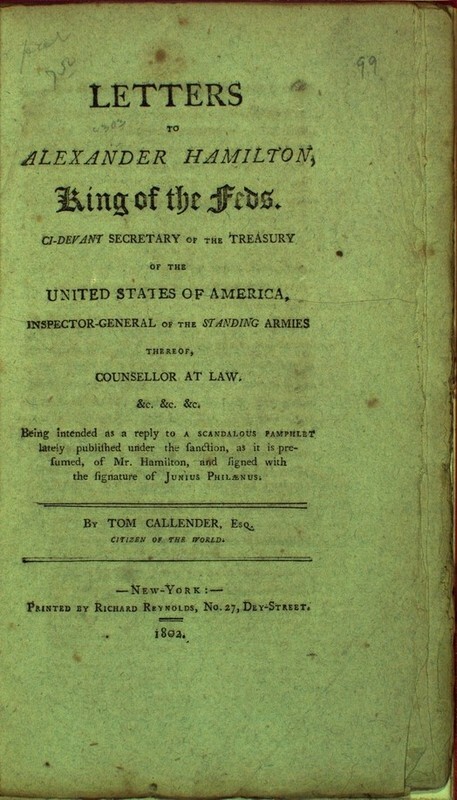 Letters to Alexander Hamilton, King Of The Feds. 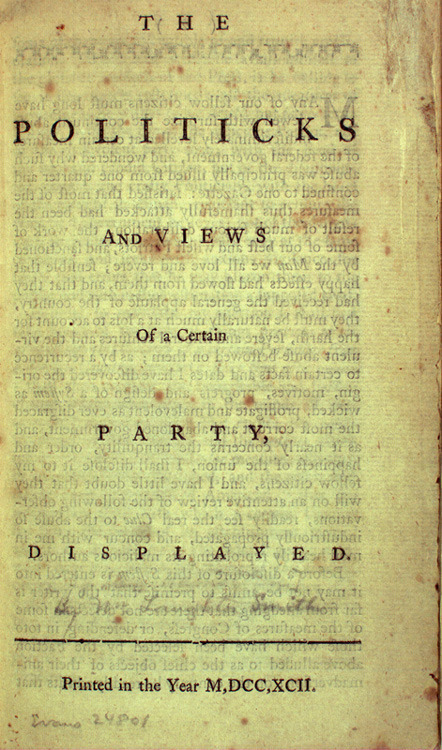 Underlining the debate between Jefferson and Hamilton, this work thought to be allegedly authored by one of Jefferson's staunchest critics was probably instead a pseudonym of one who was a critic of Hamilton. Printed in the year 1792. By William Smith, 1758-1812. This work, which is an attack on Jefferson for his opposition to Hamilton's views, has been attributed to Hamilton. America, Printed, unknown where, or by whom sold; London : Re-printed for John Joseph Stockdale, 1808. 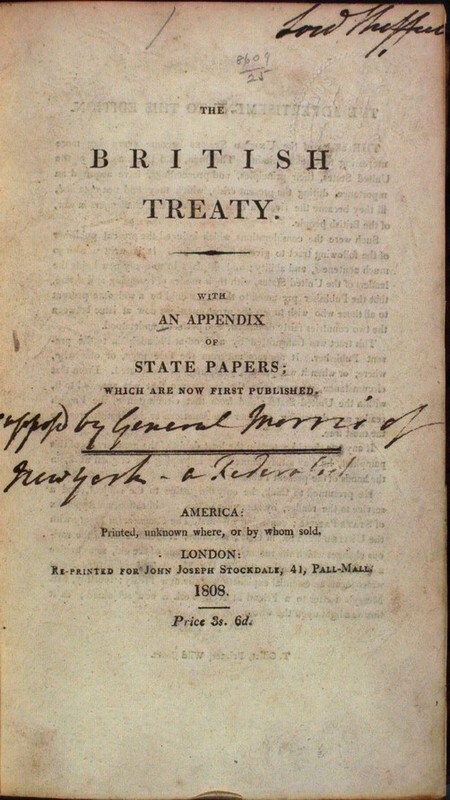 The Appendix contains Jay's treaty, 1794, for which Hamilton had persuaded President Washington to send John Jay to London to negotiate the treaty.